This dress allows for that spark, that subtle sexiness, that allows inner confidence to shine for all to see. The well-constructed bodice of the dress ensures that this dress is universally flattering as the material is designed to flow with each women’s individual chest size. Far from the stress and discomfort of straining buttons, this dress allows your natural figure to speak for itself without discomfort. The empire waist draws the gaze, helping ensure the hourglass silhouette. The bare shoulders allow for a touch of romance, which along with the full skirt reminds you of summery days in Europe. This image is encapsulated by the lovely sky-blue shade of the dress, invoking carefree summer days. 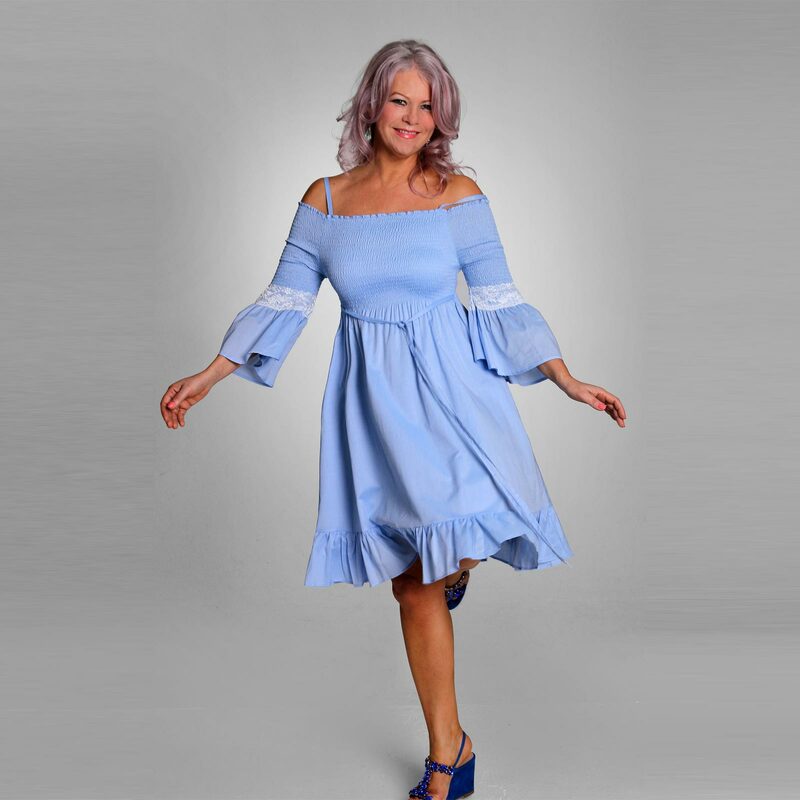 This dress is ideal for summer holidays, nights out dancing and summer lunches with friends. This dress allows for that spark, that subtle sexiness, that allows inner confidence to shine for all to see. The well-constructed bodice of the dress ensures that this dress is universally flattering as the material is designed to flow with each women’s individual chest size. Far from the stress and discomfort of straining buttons, this dress allows your natural figure to speak for itself without discomfort. The empire waist draws the gaze, helping ensure the hourglass silhouette.